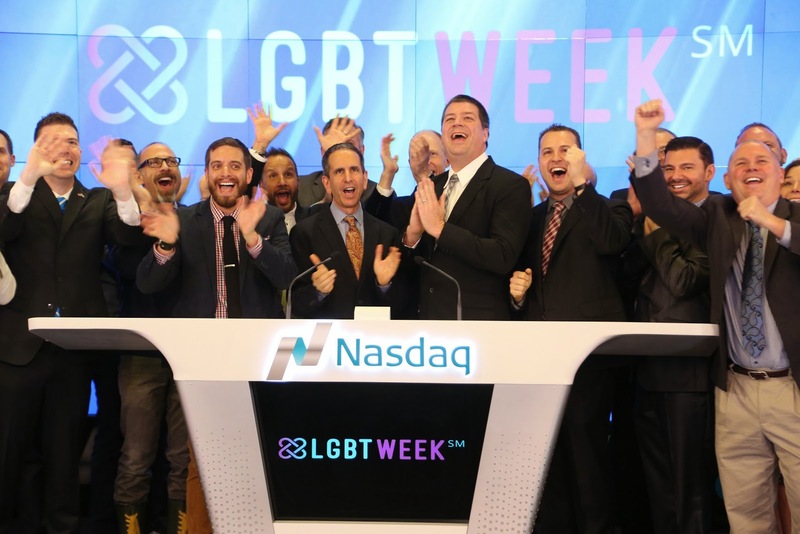 History was made yesterday when the NASDAQ had Matt Skallerud of Pink Banana Media and Tom Roth of Community Marketing & Insights, co-producers of LGBT Week NYC, rang the closing bell on April 22nd in Times Square in New York City. In the NASDAQ closing ceremony, it was announced "LGBT Week NYC, a natural evolution from what was formerly the 1-day LGBT Marketing, Advertising & Technology conference held in New York for the last 8 years, is now expanded into a full week of programming, including partner events from StartOut, LesbiansWhoTech.org and the NGLCC-NY. 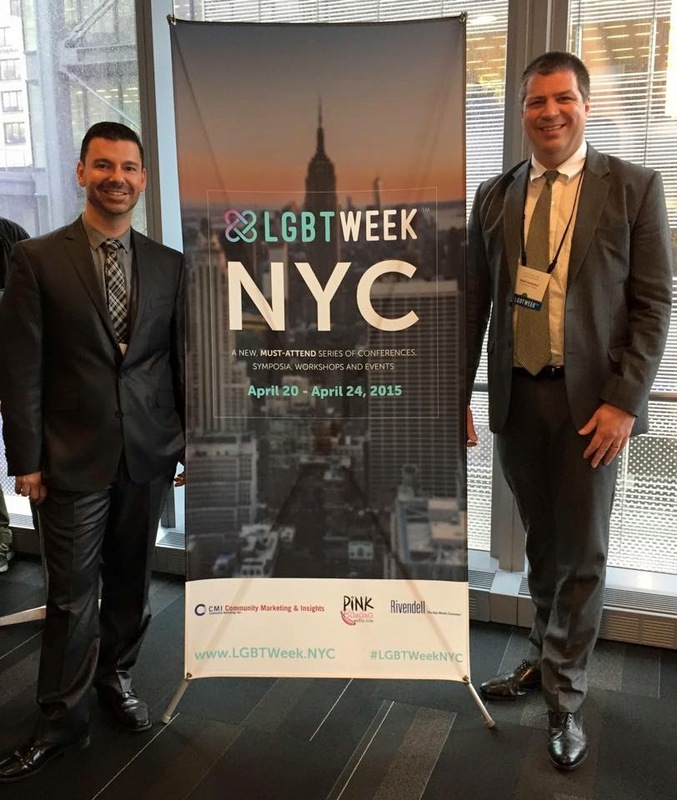 LGBT Week NYC offers a series of conferences, symposia, workshops and events that aim to educate as well as provide opportunities for networking. Bringing together the worlds of advertising, marketing, technology and business in the LGBT marketplace, this week long series of events is a can’t-miss comprehensive educational and networking program."